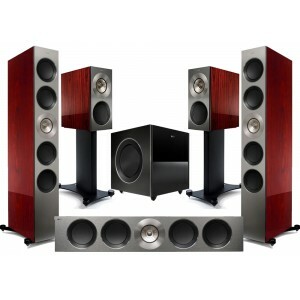 5.1 Package consisting of a pair of KEF reference 5 speakers coupled with a pair KEF Reference 1s and matching stands, Reference Sub and Reference Centre speaker. Earn 24495 loyalty points when you order this item. The Reference 5 is the flagship speaker in the Reference range and KEF's passion for sonic perfection is embodied in these tall three-way floorstanders, combined with other KEF Reference speakers for the ultimate KEF Reference 5.1 package for music and home cinema sound. Reference 5 speakers for the front channels are combined with KEF Reference subwoofer and centre speaker to form this 5.1 package, along with 1 pair of KEF Reference 1 bookshelf speakers with matching Reference 1 speaker stands for the rear channels. All speakers are available in 3 finishes; Deep Piano Black, Luxury Gloss Rosewood or Satin American Walnut. 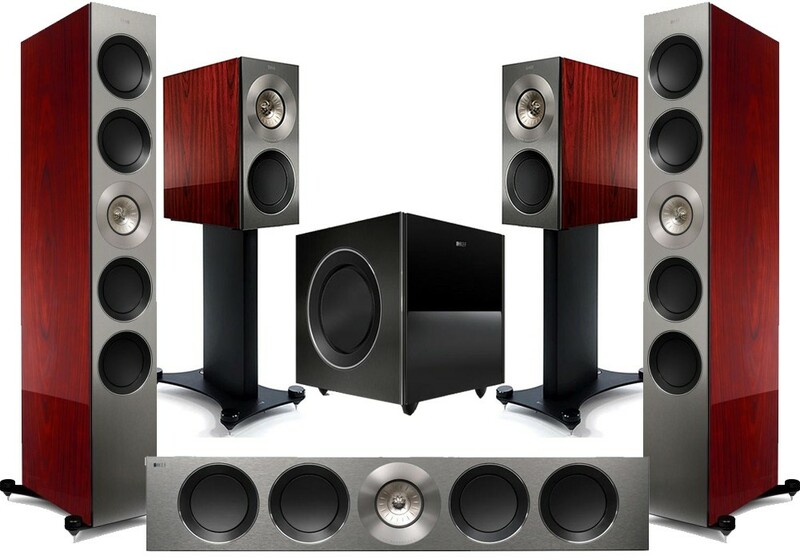 For more info, view our main KEF Reference 5 page.